Hero MotoSports Team Rally riders C.S. 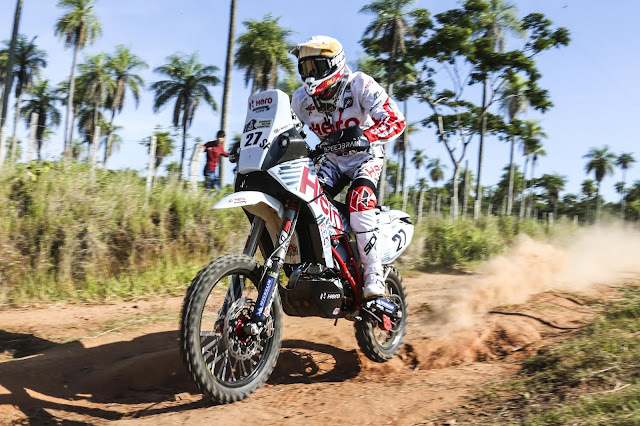 Santosh & Joaquim Rodrigues gave a satisfying start to the team’s Dakar debut. Bangalore, January 3, 2017: Hero MotoSports Team Rally riders - C.S. 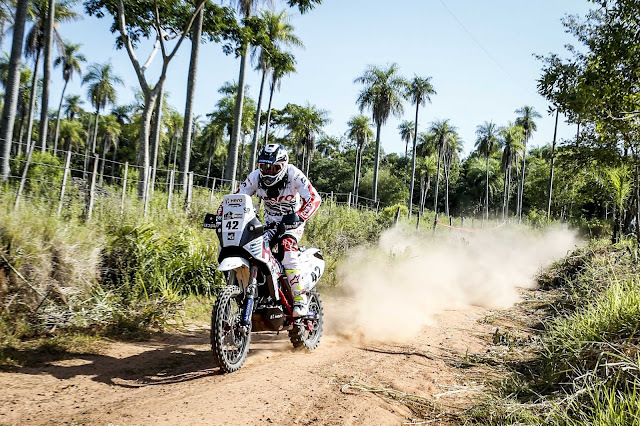 Santosh and Joaquim Rodrigues gave a satisfying start to the team’s Dakar debut. Joaquim Rodrigues, who entered the first time section in 27th place, made a blazing run to complete the 39-km special in 29 minutes 42 seconds that put him in 16th place in the provisional general classification—a gain of nine places up the starting order. 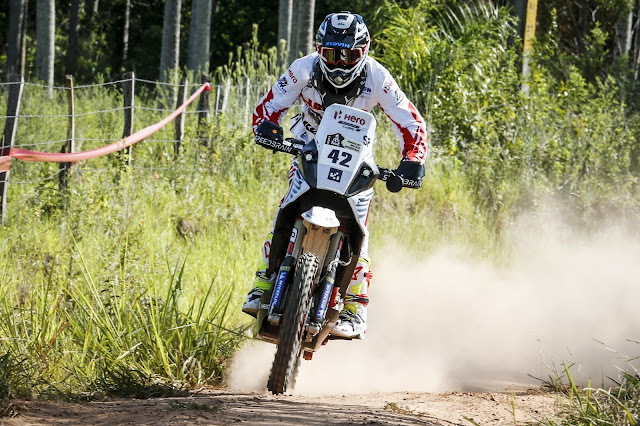 Most impressively, the Portuguese rider, who is making his Dakar debut, finished one place ahead of the defending champion, Toby Price. By Dakar standards, the 39-km special was a soft opening of the rally. But the technical track with a mix of trail-type section had plenty of potential to induce errors from the riders. Fortunately, both the riders managed to avoid any complications to set up the second stage nicely. The second stage that will task the riders with 803-km run from Resistencia to San Miguel De Tucuman out of which 275 km will be timed section.